Creating dashboards can take a lot of time. 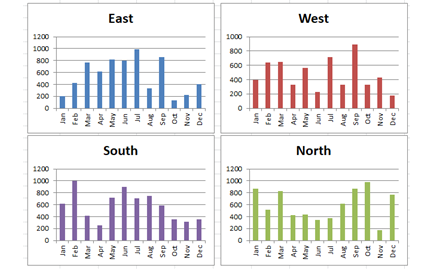 With this simple technique that I just learned, you can quickly select and align charts for your final Excel Dashboard presentation. Did you know that you can select all of your charts with a Keyboard Shortcut? This step combined with Step 2 is what will save you all the time in creating your Excel dashboard. Why is this important? Because you can quickly select all of your charts and then resize them to create a sharp looking presentation. So tell me the keyboard shortcut already! First, you must select a chart, any chart, in the Chart Area. This is typically found in the white space of the chart. 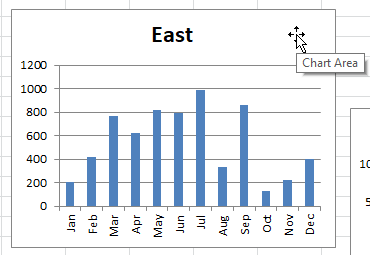 Don’t select any data series, any axis, the title or legend of the chart as this will stop the technique from working. 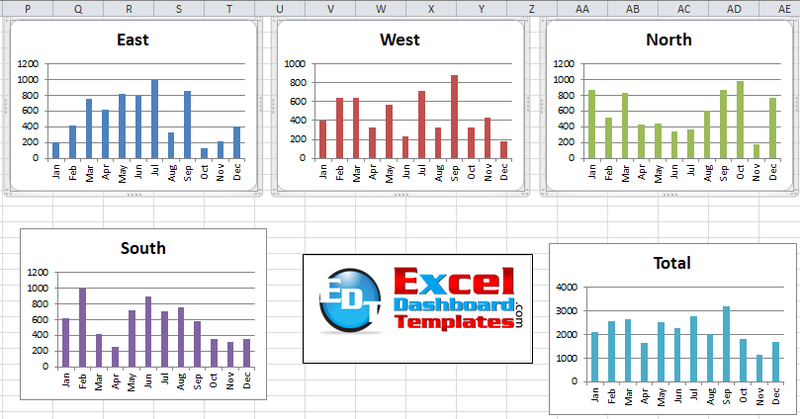 Second, press CTRL+A to select all to select all of your charts on the active worksheet. NOTE: This will not only select every chart, it will also select every picture on your worksheet. 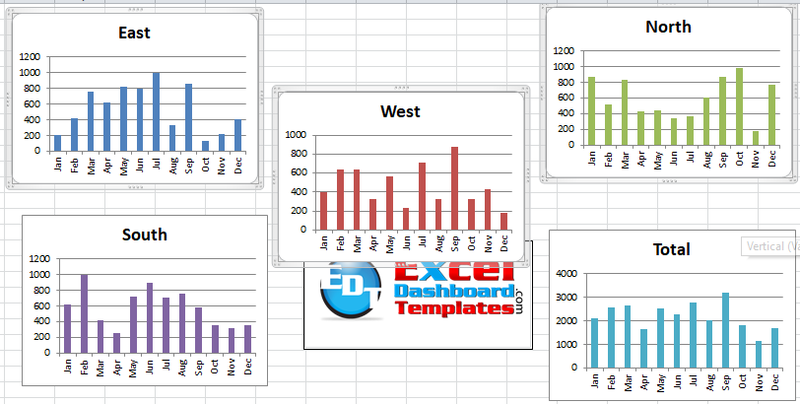 Now that the dashboard charts are selected on the worksheet, we need to get them all to look the same. In order to do this, we can use the Ribbon and Size controls. You will find these controls in the Drawing Tools > Format Ribbon. NOTE: You will ONLY see these controls when you have at least one chart selected. Now that the charts are all the same size, we need to get them into the right position. To do this, first, unselect the charts by clicking anywhere in the worksheet. Then select the charts you want on the top of the dashboard by holding down either the Shift or CTRL key and then use your mouse to left click on each graph. Now that you have the charts selected, click on the Drawing Tools > Format Ribbon and then click on the Align button. 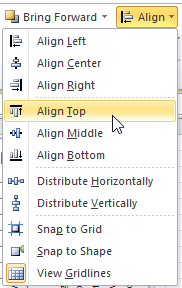 Complete the action by choosing Align Top from the Align Drop Down Menu. Final action would be with the charts selected to move them to the final location you want. 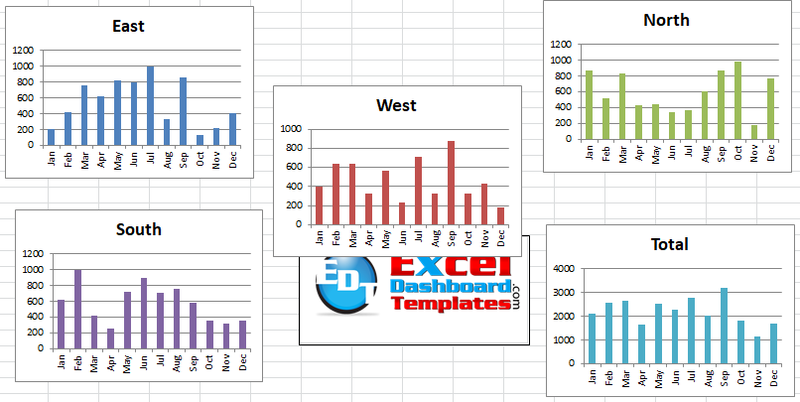 I want my Excel Dashboard charts positioned around the logo, so it may look a little strange at this stage. This step is very similar to the previous one, but it only deals with the edges. So for this example, I mean aligning the 2 left charts and then the 2 rightmost charts. For either the left of the right sides, first, select the charts using your left mouse button while holding down the SHIFT or CTRL button. Then click on the Drawing Tools > Format Ribbon and then click on the Align button. 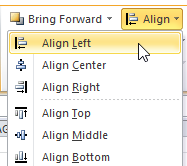 Complete the action by choosing Align Left from the Align Drop Down Menu. I feel that spending time on the dashboard aesthetics will help your readers focus on the charts and the data versus being distracted by improper sizes and alignments. 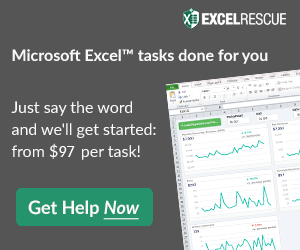 If you learn these Excel Dashboard tips and tricks, you will not only save time, you will look like a rockstar to your executives. Did you know about CTRL+A selecting charts only before? I hadn’t thought about it till just recently. What is your favorite keyboard shortcut or chart tip/trick? Let me know in the comments below!